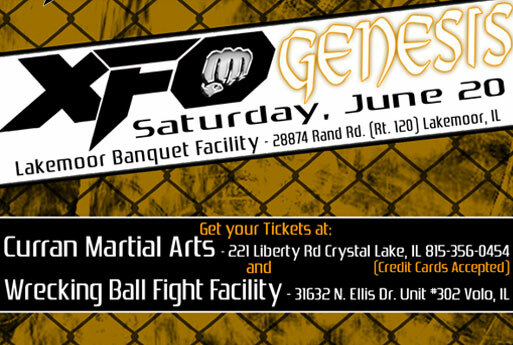 The XFO returns to Lakemoor on Saturday, June 20th with XFO Genesis. Be sure to visit the Chicago’s MMA events page for the latest info on all upcoming cards. At Sideouts Bar & Eatery between 6 pm – 9 pm. Amateurs may weigh in Friday night at Sideouts between 6-9pmor on Saturday at The Lakemoor Banquets.